• Add Fresh and Vibrant Plantlife: Plant a variety of colorful and eye-catching plants to act as pops of interest throughout your space or as natural, understated embellishments to your furnishings. Your plant selections can help create a particular mood in your outdoor space. Flowering, rambling vines will create a romantic feel, while eccentric and energetic flowers like Tradescantia pallida or a purple heart plant will encourage creativity and conversation. • Insert Bright Colors and Accents: Let your personality shine with bold color additions placed throughout your garden and lounging spaces. You can quickly and affordably add these pops of color by painting entry doors and perimeter fences, or by inserting statement pieces like pillows, chairs and other decor. With these added color inserts, you can transform your outdoor landscaping into a unique piece of art. • Create Garden Pathways: Don’t stay still in your outdoor space — create winding pathways throughout your garden to fun, secret new locations. Adding paths can lead visitors to different entertainment zones of your landscaping, like outdoor kitchens, water features, sculptures or outdoor play spaces. Easily construct your paths using sand, gravel or stones, and line them with soft outdoor lighting. • Incorporate Entertainment Spaces: Your backyard can be used for a variety of purposes, and you can easily carve out these spaces in your outdoor oasis. Install a cozy and relaxing firepit for chilly nights out, an outdoor kitchen and dining area for hosting big cookouts with friends and family, or a movie theater for added wow factor and entertainment value. • Establish Lounging Areas: Having an area to kick back and wind down at the end of the day is essential for any functional backyard space. Add comfortable and plush outdoor furniture or large pillows and blankets to create a luxurious and relaxing space for yourself and guests. 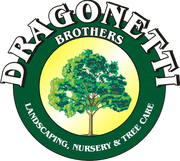 Creating an unforgettable outdoor space can be simple, but you can elevate your summer landscaping even more with the help of the professionals at Dragonetti Brothers Landscaping. Our team can work closely with you to specially design new landscaping, patios and outdoor kitchens. We can install new outdoor lighting that will transform your summer landscaping into a unique lounging and entertaining space that fits your personality, daily needs and budget. We specialize in updating exterior spaces and performing landscaping maintenance throughout New York, including the Brooklyn, Queens and Manhattan areas. We can even provide some summer gardening tips to help you make the most of your space. Begin creating your home’s new outdoor space today by calling us at 718-451-1300 or completing our online contact form to request a free landscaping estimate.